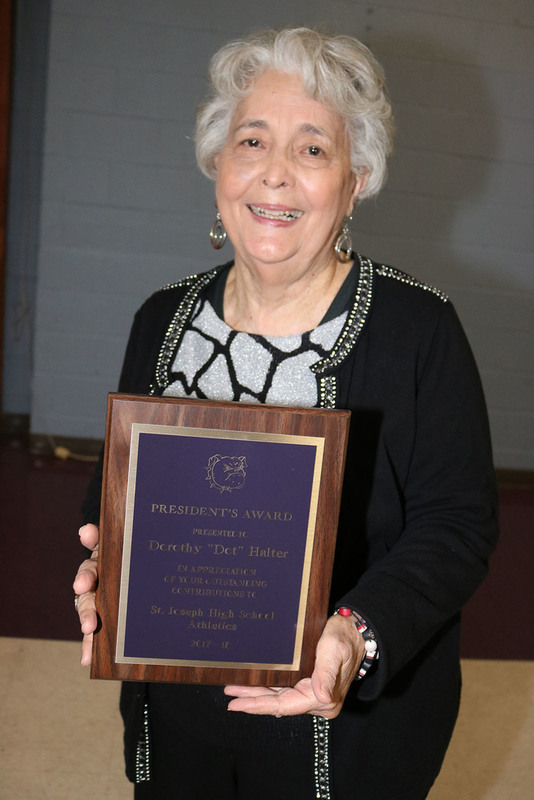 Dorothy "Dot" Halter received the Booster Club President's Award during the Basketball Awards Night. Eight years ago, Ms. Halter decided to show her support of St. Joseph Basketball and her granddaughter's Junior Girls team by baking cinnamon rolls for their home games. With positive feedback at multiple request her baking increased to include all regular home games. She later added chocolate sheet cakes and the sales increased. Ms. Halter's love of baking has contributed an average of $725 per year to the concession stand and St. Joseph Booster Club.